Getting the right removalist in Melbourne requires planning and strategizing as well as skill, experience, and the right resources to complement our removals trucks and moving van options. If you are planning to move to a new office or home, but don’t know where to start, you are in good hands with Man With A Truck Melbourne removals. Man With a Truck provides affordable, efficient and reliable residential and commercial Melbourne moving services. From wrapping and packing, hauling, loading, transporting and unloading personal belongings, appliances, equipment, and furniture, we handle it all safely in our removalist trucks and moving vans. You can find detailed removals service pricing for all Man With A Truck packages on our site. If there are any specific requests you have for your move, Man With A Truck will accommodate those and make sure the job is carried out to your 100% satisfaction. You can use our Free Quote request to get an estimate of the cost for your move and choose the right size truck or removal van. No Back To Base Fee. Man With A Truck is one of the most recommended Melbourne Removalists for a reason. As a company that has been operating in this field for a number of years, Man With A Truck in Melbourne have what it takes to handle your move expertly. Regardless of how big or small the move we have the perfect sized removal truck or van for the job, and you are always assured of the same level of professionalism and efficiency. Whether you’re moving home just down the road, around the corner or across Melbourne’s suburbs, we can be your trusted removalist partner. Man With a Truck can move all types of items. There are a number of things we focus on while carrying out any removal in our trucks or vans. 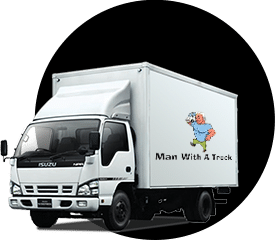 Man With A Truck experts can move large and bulky pieces of furniture, small items like crockery, large and small kitchen appliances, precious antiques, pianos, electronic devices and more in our trucks and removal vans. 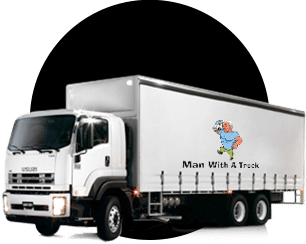 Man With A Truck Melbourne use the best quality packing materials in our work, boxes of different sizes and shapes to ensure everything is packed safely into our rucks or vans. Furniture that can be dismantled will be expertly dissembled and the individual parts will be packed carefully into our truck or removal van. The larger pieces of furniture will be packed and anchored securely in the moving truck or removal van. Care will be taken to ensure that all the large and bulky pieces of furniture are manoeuvred skilfully and safely through doorways, hallways or up and down staircases. Man With A Truck also provides storage solutions in case you need them in the interim period while moving from one place to the other. Our technicians will also help unpack and organise your belongings at the new location. The furniture will and reassembled and placed in the rooms you need it. Man With A Truck put in all the elbow grease so you can enjoy a stress-free move. Hiring experienced and skilled personnel to undertake your removal project is crucial to performance, efficiency, and a successful outcome. This is why we work very hard to ensure that all our technicians are well-trained in different packing and moving techniques. 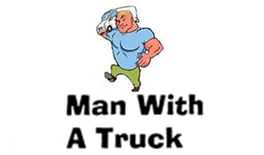 Man With A Trucks’ moving trucks and removal vans are updated and well-maintained. This reduces the chances of a breakdown while the vehicles are on the road and we can maintain an on-time performance. Man With A Truck is very meticulous in our approach to every job we handle. As a customer-oriented company, our primary focus is the satisfaction of our customers. To this end, you will find that right from the time you call us with your request and we provide a quote, till the time we successfully complete the move for you, everything is handled without a glitch. Man With A Truck’s bookings team is very thorough and will acquire detailed information from you about your requirement. This is a crucial aspect of the job and helps ensure your move is handled expertly to secure the correct size truck or removal van. Once Man With A Truck have gathered all the needed information we will send the right size truck, and make allowances for plenty of time to complete the furniture removals. We also make note of any furniture items that may need specialised attention, and will match an expert Melbourne removalists’ team to suit your unique needs. Man With A Truck Melbourne’s most recommended removalist? 5 fully equipped trucks and removal vans. If you are looking for an experienced, high-quality, affordable Melbourne removalist with a removal truck or removal van, look no further. You only have to tell us what you need and our removalist team will handle the rest. With years of experience in this industry, moving your office or home is what Man With A Truck do best. For any more information on our services, feel free to call Man With a Truck at 03 8060 0570 or write to us via this Online Form. You can also read customer testimonials here to see what our customers are saying about our services. We are the residential and commercial Melbourne removalists that offer the perfect blend of professionalism, efficiency and affordability and highly personalised services. We work all 7 days of the week, so call us with your requirement today! Man With A Truck is not Man With A Van, we are a separate business. If you are looking for Man With A Van please contact then directly. Signing a deal with the realestate agent for a new house is often a great feeling and painting a mental picture of how all the furniture will fit perfectly into the house is in itself a gleeful experience. Then comes the actual move, which is a stressful idea when one thinks of all the packing, unpacking, and moving of items from the old house to the new one. However, moving should not be as stressful. When you hire a professional removalist, things become as easy as walking into the new home. There are a number of reasons why one should hire a removalist as opposed to doing the move yourself. One of the main reasons of hiring a removalist is to save time. You may be at work or even at home alone or have a family with young ones and moving involves hard work and labor. Thinking of how to maneuver with young kids during a move is hectic, or packing your stuff bit by bit when you get off work is a slow and tiring process that may take days to finish before the actual move. 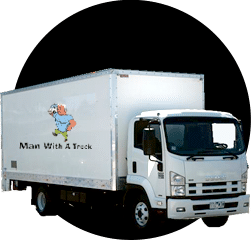 Man With A Truck in Melbourne area is a professional moving company that will help you save your time and deal with the packing, labelling and moving your items safely anywhere within Melbourne. The other reason that you should think to hire a removalist when moving in Melbourne is to access skilled labor and appropriate packing items. House furniture and other items are usually heavy and may need disassembling and reassembling in the new home. Man With a Truck in Melbourne is a removals company that has trained and skilled employees in moving, packing and assembling of things. They are trained on how to pack your furniture to avoid breakage or scratches, which may ruin the beauty of the furniture and incur other costs on repairing them. When moving on your own, it may be an uphill task to move some of the heavy objects without some friends or family to help. It will also be hard to protect your items from weather effects like rain if one does not have the correct packing items and removals van. Man With A Truck ensures that all the items are correctly packed, labelled and protected even before moving the items into the removals van. Then they are carefully loaded into the removals vans and trucks according to their fragility. Man With a Truck has also a number of trucks that vary in size to fit the needs of different home sizes. For instance, in the rainy season, the company is trained to foresee certain mishaps that may arise and tackle them beforehand. 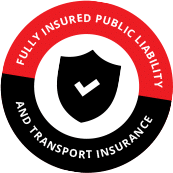 This includes having covered trucks preventing your household goods from being affected by the rain and trucks that are designed to firmly secure your items on transit even on rough roads. Hiring a removalist is cost effective. Many times people have tried moving on their own. However, it may cost more than hiring a removalist company. When on your own, this involves hiring a van and moving things in a number of trips going back and forth. In addition, moving on your own also involves sourcing your own packing materials like the boxes, bubble wraps, or even wrapping paper. Even with all these, it may prove hard to pack the right way and in some cases be confused on what item to use where. Other packing tools may also be unavailable leading to improvising that may end in breakages, scratches, and other damages. 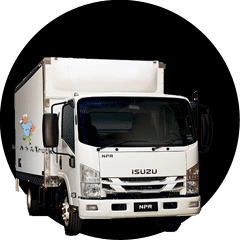 This is where Man With a Truck as a professional moving company in Melbourne comes in to save you money from the countless trips and possible damage of your items. Thinking of moving? Hire a professional removalist as this is a stress-free and a cost-effective way to move. Thinking of moving in Melbourne? Man With A Truck is your safest bet.